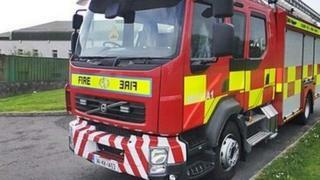 An 80-year-old man has died in a house fire in County Donegal. The blaze broke out in his home in Cloghan near Fintown at around 14:00 on Thursday. Fire crews attended the scene but the man, who lived alone, died a short time later. His body has been taken to Letterkenny University Hospital for a post mortem examination. The cause of the fire is being investigated.